Sunday, time for a classic! Kiss is an American rock band formed in New York City in January 1973. Well known for its members' black and white face paint and flamboyant stage outfits, the group rose to prominence in the mid to late 1970s on the basis of their elaborate live performances, which featured fire breathing, blood spitting, smoking guitars, shooting rockets, levitating drum kits and pyrotechnics. 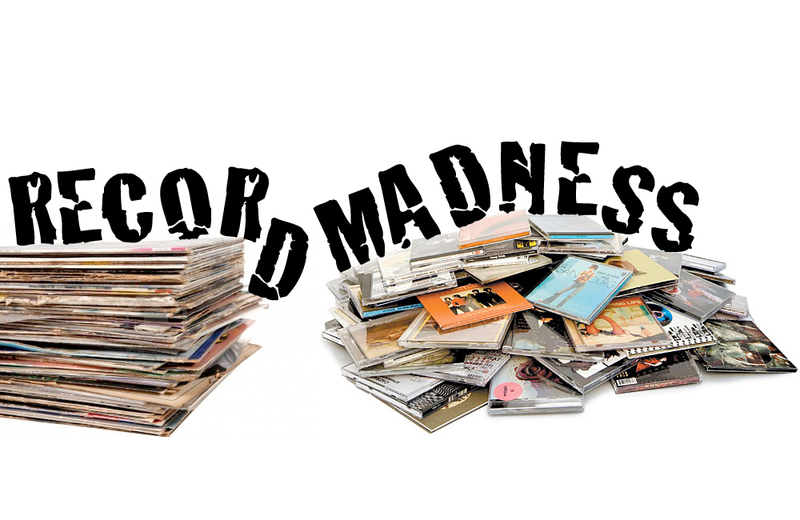 Counting the 1978 solo albums, Kiss has been awarded 28 gold albums to date, the most of any American rock band. The band has sold more than 40 million albums in the United States, of which 20 million have been certified by the RIAA and their worldwide sales exceeds 100 million albums. 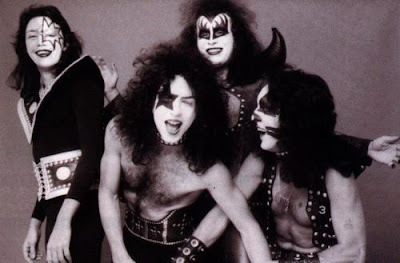 The original 1973–'80 lineup consisted of Paul Stanley (vocals and rhythm guitar), Gene Simmons (vocals and bass guitar), Ace Frehley (lead guitar and vocals) and Peter Criss (drums and vocals). Hotter Than Hell is the second studio album by American rock band Kiss, released on October 22, 1974. It was certified Gold on June 23, 1977, having shipped 500,000 copies. The album was re-released in 1997 in a remastered version. It peaked on the charts at #100, without the benefit of a hit single. Many of the album's songs are live staples for the band, including "Got to Choose", "Parasite", "Hotter Than Hell", "Let Me Go, Rock & Roll", and "Watchin' You". The production team of Kenny Kerner and Richie Wise, who had produced the group's first album, was chosen for the follow-up. Since the pair had relocated to Los Angeles, Kiss moved there to work with them. The band who are all from New York, immediately developed a dislike for their new surroundings. Paul Stanley's guitar was stolen on his first day in Los Angeles. The working title for the album was The Harder They Come. Although the album featured three songs penned by lead guitarist Ace Frehley, he did not sing lead vocals on any of them; his lack of confidence in his singing abilities at the time led to lead vocal duties for "Parasite" and "Strange Ways" going to Gene Simmons and Peter Criss, respectively. Frehley's guitar solo on "Strange Ways" has been referred to as one of his best. 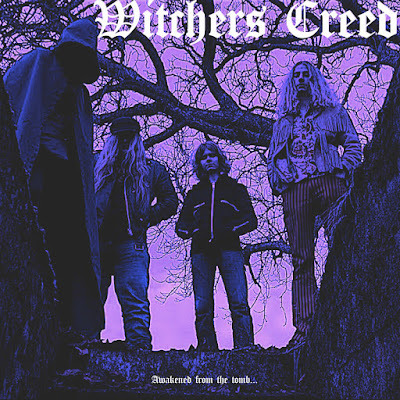 The album is well known for its striking cover. The front featured Japanese manga-influenced artwork, and the back cover showed individual band shots taken by Norman Seeff at a wild party, and a composite of all four band members' makeup designs. The Japanese character on the bottom of the album cover (力) is chikara, which means "power". It would later be used on various forms of Kiss material during the 1970s and 1980s, most prominently on Eric Carr's drum kit. The Japanese on the top-right corner of the album cover (地獄 の さけび) is jigoku no sakebi, which means "Hell's shout" or "The shout of hell". The Japanese characters used for Ace's name pronounces it wrong. The characters are エイス フューリ (eisu fyuuri), which would translate to "Ace Fury". The characters should have been エースフレーリー (esu fureri). Every shot of Frehley has his makeup airbrushed into the photo, as he had injuries to one side of his face after a vehicle accident, making it difficult for him to actually wear the makeup. Despite the intense touring schedule Kiss maintained in 1974, Hotter Than Hell failed to outperform the band's first album and fared considerably worse. This was due partly to the fact that Casablanca Records' distribution deal with Warner Bros. Records had ended. The publicity push behind the album was not nearly what it was for the debut album. One notable exception was a television commercial aired to promote the album. The only single released from the album "Let Me Go, Rock 'n' Roll", was distributed in low numbers and failed to chart. Four months after the album was released, Kiss were pulled off tour and called back into the studio to record a follow-up. 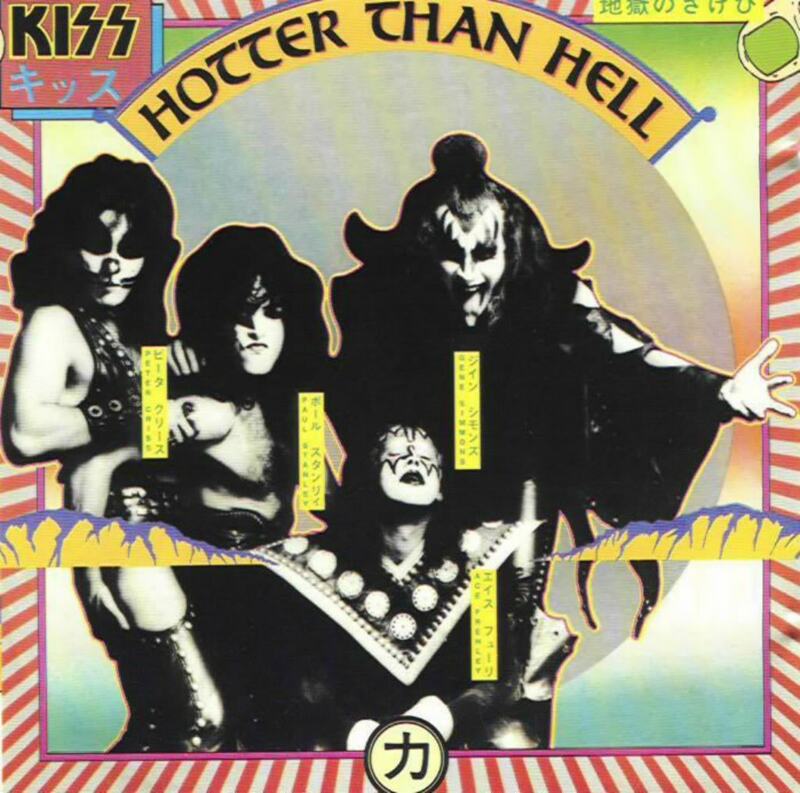 Hotter Than Hell was certified Gold on June 23, 1977. Musically, Hotter Than Hell is darker than the band's first album. 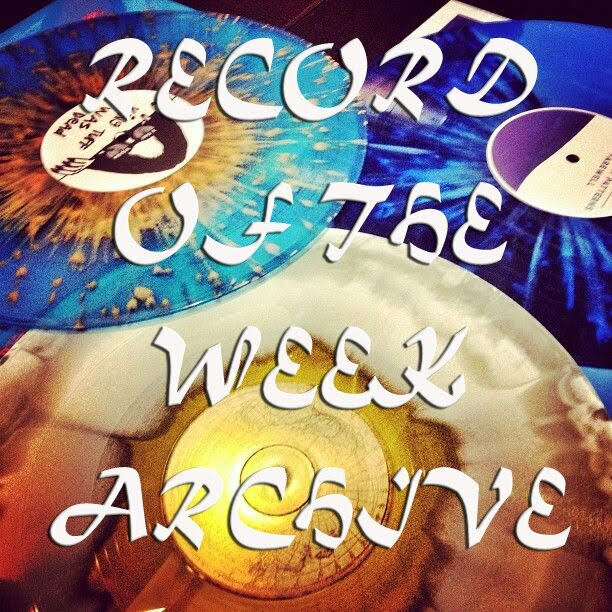 This is partly due to the murkier production values, but also the lyrical content of some of the songs. "Goin' Blind", which details a doomed romance with a 93-year-old and an underage girl, was a song written by Simmons and Stephen Coronel during their days with Wicked Lester. The original title was "Little Lady". Hotter Than Hell featured a lot more overdubs than the first album. 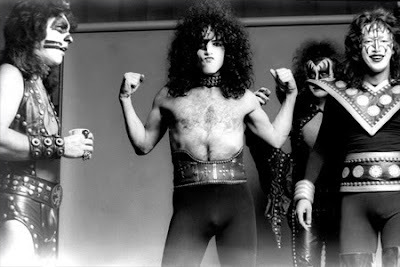 While Kerner and Wise wanted to produce a record that captured Kiss as a live act, they decided to take advantage of the experience the band had gained as recording artists. Todays tune "Hotter Than Hell" is a song by the American hard rock band Kiss, released on their second album of the same name in 1974. It was written by the band's rhythm guitarist Paul Stanley, and it shows a heavy influence of the band Free on him. Despite being rarely performed during the years, "Hotter Than Hell" has appeared on many of the band's albums. It has also appeared as a B-side to the album's lone single Let Me Go, Rock 'n' Roll. "Hotter Than Hell", as Stanley said, was basically a re-writing of a Free song "All Right Now", mostly because Stanley was a big fan of Free and the song meant a lot to him. Stanley described the story of the song: "[It] was written about an encounter with somebody in a bar, and then at the end of the song I didn't know quite how to end it so I came up with this riff that was kind of like a Black Sabbath kind of riff and we tacked that on." 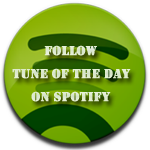 Listen to "Kiss - Hotter Than Hell" on Spotify here!